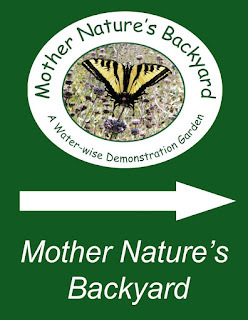 Mother Nature's Backyard - A Water-wise Garden: Visiting the Garden: Directions, etc. 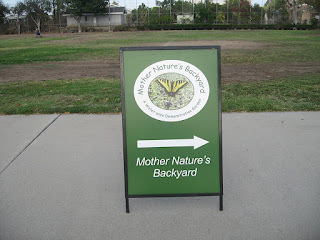 Mother Nature’s Backyard & Garden of Health are located in the southwest corner of the Gardena Willows Wetland Preserve. The entrance to the Gardens is in Arthur Johnson Park (formerly South Gardena Park), between Normandie and Vermont Avenues, one block north of Artesia Blvd at 1200 West 170th Street, Gardena, CA. Park your car in the parking lot at Johnson Park. 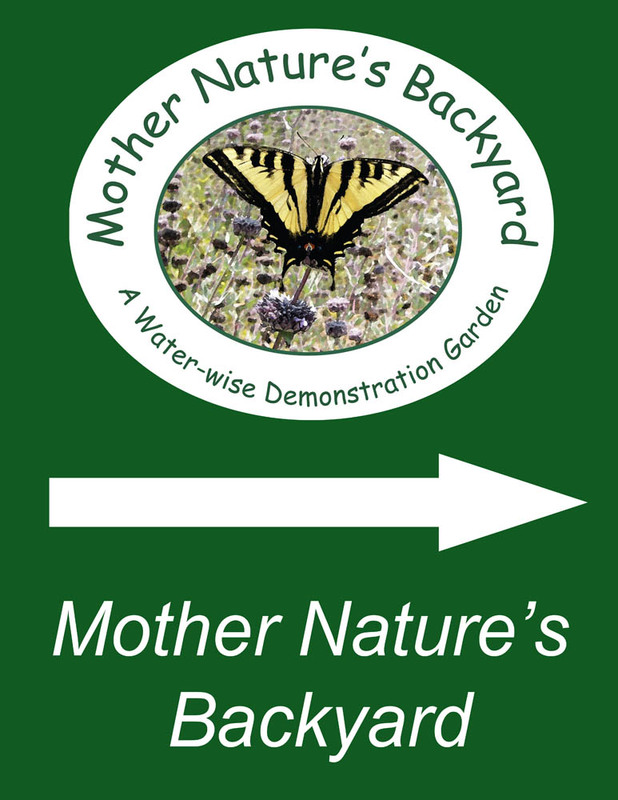 Look for the directional signs to Mother Nature's Backyard. Walk down the driveway to Meadowlark Manor to get to the garden. The entrance to the garden is not through the main entrance to the Preserve. 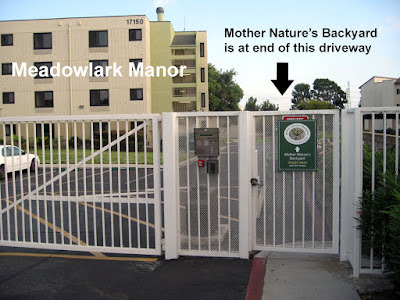 The garden entrance is at the very end of the Meadowlark driveway, beyond the Meadowlark Manor. The main gate across the Meadowlark driveway may be closed. If so, enter through the pedestrian door to the right of the gate (see above). Follow the signs down the driveway between Meadowlark Manor and South Park Manor apartment complexes, straight ahead to the garden. 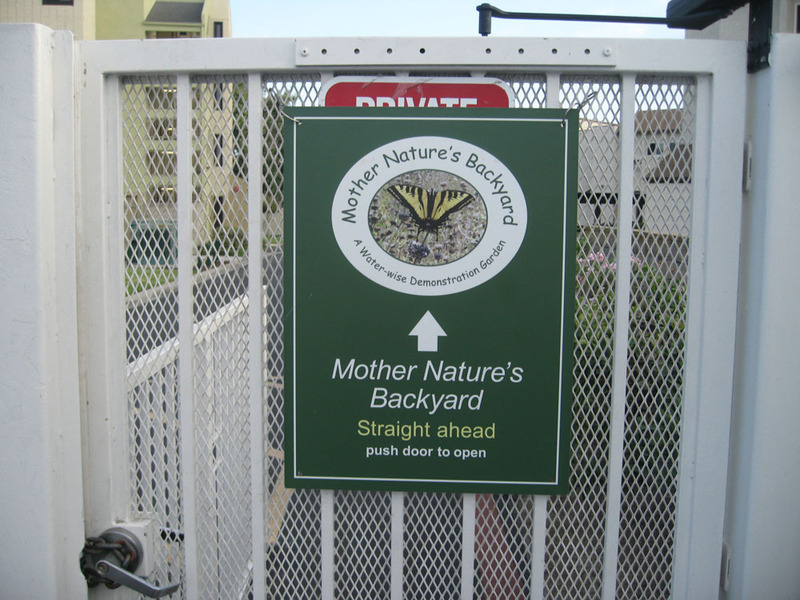 Mother Nature’s Backyard is located just inside the Preserve, through the chain-link gate (which will be open). 2nd Sunday of every month – 1:00-4:00 p.m.
3rd Sunday of every month – 1:00-4:00 p.m.
4th Saturday of every month - 1:00-4:00 p.m.
note: see the calendar of activities for more details. The garden will usually be closed on official holidays. It may also be closed other times.